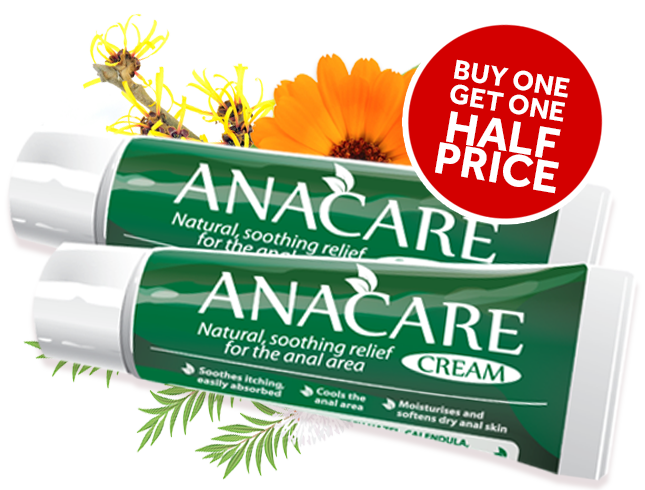 Analcare cream has a new name: Anacare cream. Why change the name when nothing else has changed? If you are a regular user of Analcare, you may notice that we have changed the product name to Anacare. Before we explain, we should like to stress that the formula, the cream in the tube, the pack size, prices and even the barcode number remain exactly the same. The reason for the change was that some customers had expressed their embarrassment at having a product with such a blatantly descriptive name as Analcare in their bathroom or toilet. We had named the product Analcare so that there would be no confusion about the intended usage for the product. Apparently this was causing some embarrassment, so we were quite happy to change the name to Anacare. We hope and expect that all our customers, both old and new, will continue to receive the same rapid, wonderful relief from Anacare as from Analcare. If you have any comments, either in favour or against the new name, please feel free to send an email using the contacts page on this website. We would be most grateful to receive any comments you may have.